Nepal made history after beating Papua New Guinea to secure ODI status - Integration Through Media ....! 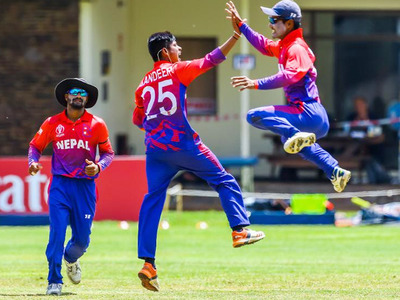 KATHMANDU: Nepal made history on Thursday as they gained ODI status after beating Papua New Guinea by six wickets in the World Cup Qualifier play-off at the Old Hararians Sports Club in Zimbabwe. For the first time in cricket history, Nepal has won the one-day international (ODI) status until the upcoming four years. With this success, Nepal would get chance to participate in different international tournaments organized by ICC while ICC’s support to Nepal’s cricket would be upped further.